For months, Americans have watched the number of presidential hopefuls from major political parties dwindle from 23 to three. Party leaders and their presumptive nominees are now planning their respective debuts at the Republican and Democratic National Conventions to be held in July. What can we expect out of both the RNC and DNC? With arguably two of the most unpopular presidential candidates in history, what could happen during the general election? Will we see the emergence of a third major political party? Join us for a conversation with national leaders on the upcoming Republican and Democratic National Conventions and on what is becoming one of the most unconventional presidential elections in American history. 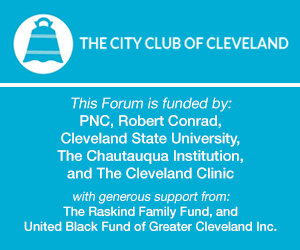 This conversation is moderated by John C. Green, Ph.D., Director of the Ray C. Bliss Institute of Applied Politics at The University of Akron.